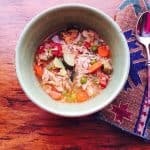 Mexican Chicken Soup is the best chicken soup ever, in my humble opinion. Great cold fighter. So delicious, you might want to eat it every day. It freezes well, so keep some in your freezer for when you need a stupendous chicken soup. 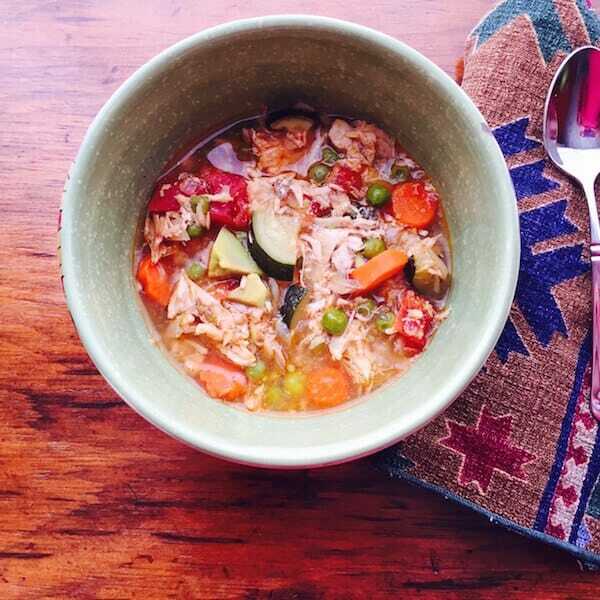 Mexican Chicken Soup: Great cold fighter! Excellent anytime. Hi. It’s Lois in the kitchen at Recipe Idea Shop, telling you about my all-time favorite soup, Mexican Chicken Soup. I am a big believer in the power of chicken soup. I eat it and I immediately feel better. Think you’re getting a cold? Eat some chicken soup. And if you’re going to eat it, why not eat the best chicken soup ever? It freezes well, too, so when you make it, save some in the freezer for the next time you are feeling “puny” (as they say in Virginia when you just feel a little under the weather). This Mexican Chicken Soup recipe calls for a five-pound chicken. It doesn’t have to be exactly five pounds; four pounds will do. The original recipe comes from Better Homes & Gardens’ Mexican Cook Book. I love this cookbook; the recipes are all super good. The addition of avocado just before serving makes the recipe unique and especially tasty. See what you think, and be sure to comment below when you make it. Do you like the avocado? Le Creuset Soup Pot. Buy it on Amazon today; own it for a lifetime. The BEST chicken soup ever! Good cold fighter. The flavor is amazing. Tomatoes and chicken broth will perk you right up. In a Dutch oven or soup pot, combine the chicken, water, onion slices, celery, salt and pepper. Bring to a boil and then reduce temperature to a simmer. Simmer for about two hours until the chicken is tender. Remove the chicken and vegetables from the broth. When the chicken is cool enough to handle, remove the meat from the bones, and cut the meat into bite-sized pieces. Return the chicken to the broth. Throw out the bones and the old vegetables. Add undrained tomatoes, sliced carrots, chopped onions and the bouillon. Simmer, covered for 30 minutes or until the carrots are tender. Add the zucchini and peas. Simmer 5 to 10 minutes until the vegetables are tender. 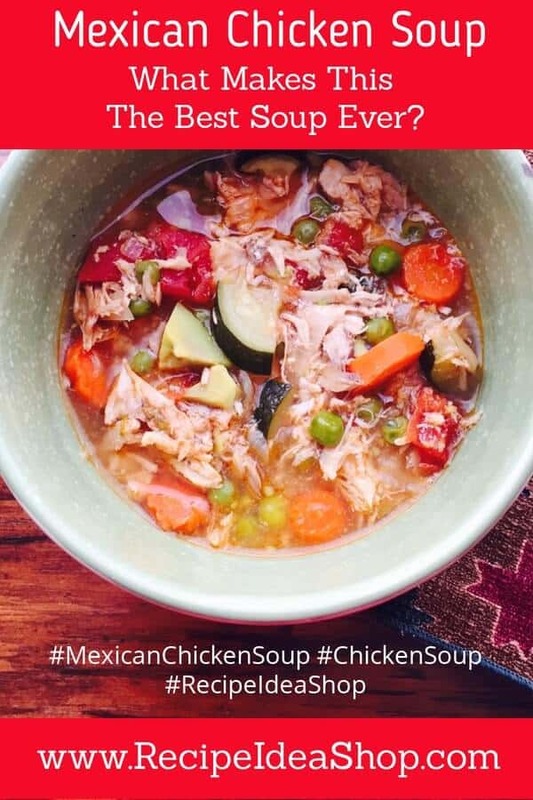 Mexican Chicken Soup Nutrition Label. Each serving is about 1 cup.